Home Comfort Heating & Air Conditioning provides HVAC services in Los Angeles County and the surrounding area; it asserted rights in marks “wholly or partially comprised of the word elements ‘HOME COMFORT,’ ” including “HOME COMFORT SERVICES,” and “HOME COMFORT HEATING AND AIR CONDITIONING.” It had some registrations. Ken Starr Inc. subsequently began operating an HVAC business under the name “Home Comfort USA” in Southern California, including Los Angeles County and the surrounding area. Notable findings: The court found strong evidence of confusion from negative online reviews, including one negative Yelp review, and oral complaints with regard to products and services that were supplied by KSI. In the prior year, Home Comfort received five attempts by customers seeking to return products purchased from KCI, two refund requests arising out of KCI’s services, thirty inquiries about KCI’s special pricing offers, and forty inquiries about available services from customers who saw KCI’s ads. A few of the voicemails were generic requests for quotes, but the majority reference specific accounts, appointments, and issues with prior work done by KCI. The district court applied the 9th Circuit’s screwed-up “can you determine the product just from knowing the mark?” test to determine that the marks were suggestive. Twenty-six HVAC businesses around the nation that use some combination of the terms “home” and/or “comfort” in connection with their services didn’t diminish the strength of the mark, especially without more evidence of use and given that “HVAC customers will, necessarily, seek a local source for these products and services.” Of the three businesses that did serve California, each used other distinguishing words as well: “Stephan’s Home Comfort Services,” “Engineered Comfort,” and “US Comfort.” Nor did Home Comfort’s addition of “Heating & Air Conditioning” to its marks, KCI’s slogan “Call the Comfort Guys, We’re There!” or the parties’ different colors deminish the likely confusion. The word marks “Home Comfort” and “Home Comfort USA” were essentially indistinguishable and adding generic words didn’t create a meaningful distinction “from the perspective of a consumer.” The stylized marks included “Home Comfort” as their dominant portion and had a depiction of a house and appeared substantially similar; the colors and the slogan weren’t how consumers would make a primary identification. Purchaser care was neutral because almost everyone needs HVAC services, making the target market average, but they tend to be expensive, increasing consumer care. Given that the factors favored a finding of likely confusion, was there irreparable harm? The rule is that “[e]vidence of loss of control over business reputation and damage to goodwill could constitute irreparable harm,” and the court found that the actual confusion shown here satisfied that standard. However, delay works against a finding of irreparable harm, and Home Comfort delayed 20 months after discovery of the problem to seek relief. The court found that the delay was sufficiently explained by Home Comfort’s oppositions to KCI’s trademark registration applications and extensive settlement discussions. In addition, the dates of the voicemails indicated that confusion was increasing over time, making delay less probative. With that, the other requirements for injunctive relief were easily satisfied. Painter alleged that Blue Diamond mislabeled its almond beverages as “almond milk” when they should be labeled “imitation milk” because they substitute for and resemble dairy milk but are nutritionally inferior to it. The court of appeals affirmed the district court’s finding of FDCA preemption. “The FDCA sets forth the bare requirement that foods imitating other foods bear a label with ‘the word “imitation” and, immediately thereafter, the name of the food imitated.’” Painter’s argument that Blue Diamond needed either a nutritional comparison of almond milk to dairy milk or cease using the term “milk” on the label of its almond milk products thus conflicted with the FDCA. Sunny Delight has never sold a product labeled as the ones [depicted in] the First Amended Complaint are labeled. Sunny Delight product labels have always included more information about the products than shown in [the FAC]. The images in [the FAC] that Plaintiffs claim are the true labels they read and relied on are actually just images from an old version of Sunny Delight’s website. Those were stylized images used on the website only. They lack numerous details on the actual labels because people looking at the website have trouble reading all the things that are on the actual labels given the size of the images. Sunny Delight has never sold any products with the labels reflected in [the FAC]. The court found that plaintiffs and their counsel had knowingly made false factual contentions in the first amended complaint, including the allegation that the embedded image was a “true and accurate representation” of the labels, as well as numerous allegations that likewise incorrectly described those labels in ways that are central to the claims in the litigation. 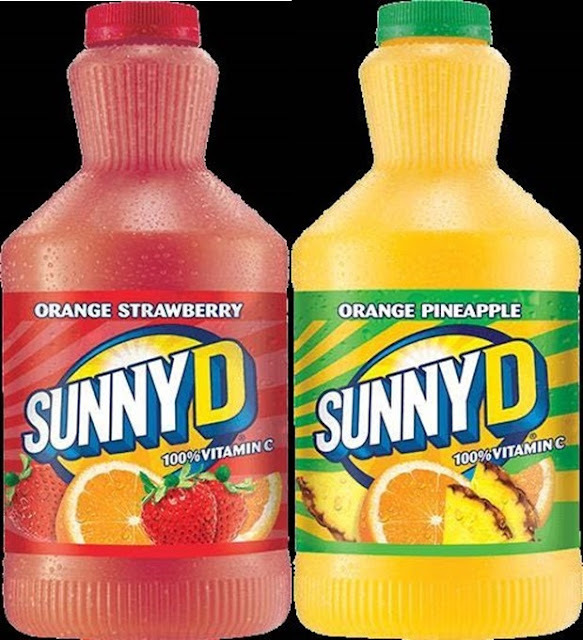 “These falsehoods were not the product of reasonable mistake and were not mere inaccuracies that would ‘likely have [had] evidentiary support after a reasonable opportunity for further investigation or discovery.’” Plaintiffs’ counsel acknowledged at the hearing that they based the complaint on Sunny Delight’s website, not on the labels on the actual products. “That approach might have been acceptable had Plaintiffs purchased the Products based on a website image, but they did not…. It is apparent that Plaintiffs’ counsel did not undertake the most fundamental of investigations— namely, examining the actual Product labels—before filing the First Amended Complaint.” Counsel had the opportunity to acknowledge the problem when Sunny Delight identified it, but they compounded it instead, arguing that the court should take the allegations as true. This wasted the court’s and Sunny Delight’s time and resources, and was sanctionable under Rule 11. The court struck the first amended complaint rather than parsing the allegations for any that were salveageable. However, the court wouldn’t strike the complaint with prejudice. Plaintiffs argued that at least some of their claims still had merit, and the court didn’t rule on whether the presence of a front disclaimer would preclude the claims as a matter of law. The court was also wary of confusing attorney honesty with the merits; sanctions address only the former. Nonetheless, to serve Rule 11’s deterrent purposes, the court also awarded reasonable attorneys’ fees for preparing this motion and the second motion to dismiss, where the misrepresented labels formed the core of the dispute and were the primary basis for the court’s ruling. Fees for general casework, or for the first motion to dismiss—which was primarily about jurisdiction—were not included. The breach of express warranty claims were reinstated for the same reasons. PS: Since In re GNC purported to interpret California law, can we now defer to the 9th Circuit to say that the case isn't even right in the 4th Circuit? I know, it would be better for a California state court to point this out--I can hope, though. The question presented in Rimini Street v. Oracle is whether the Copyright Act's allowance of "full costs" is limited to the categories and amounts of costs enumerated in 28 U.S.C. 1920 & 1821, or whether it refers to all litigation expenses. Because Congress and the Supreme Court have stated that the word "costs" is a term of art, the question turns on whether the word "full" -- as the Ninth Circuit held -- can cause "costs" to lose its technical meaning. This brief, filed on behalf of eleven corpus linguistics scholars, presents empirical evidence derived from corpora -- electronically searchable databases of texts -- that shows that it cannot. The meaning of adjectives is determined by the nouns they modify, not the other way around. That is why we judge a "tall seven year old" by a different standard of tallness than a "tall NBA player" and why the word "long" means one thing when modifying "story" and something else entirely when modifying "table." Furthermore, the linguistic evidence shows that "full" in Section 505 should be considered a "delexicalized" adjective -- meaning its purpose is to draw attention to and underline an attribute that is already fundamental to and embedded in the nature of the noun. "Full" often serves to emphasize the completeness of an object that is already presumed to be complete, like "full deck of cards," "full set of teeth," and "full costs." The court dismissed the claim; the challenged practices/statements were nonactionable opinion and puffery. Quoting McCarthy: “Under both the Lanham Act and the Constitutional free speech clause, statements of opinion about commercial matters cannot constitute false advertising ....” Also true of GBL §349. an informational directory of attorneys, which consumers can consult whether or not they intend to hire an attorney. And the complained-of website features simply provide information; they might be considered in making, but do not themselves propose, a commercial transaction. Moreover, that sponsored advertisements appear on the defendant’s website does not morph the website’s noncommercial features into commercial speech. So that put the profiles outside of the Lanham Act anyway. The defendant’s rating system is inherently subjective. The defendant chooses the inputs for its system and decides how to weigh them. … A reasonable consumer would view an Avvo rating as just that – the defendant’s evaluation. What factors the defendant believes to be important in assessing attorneys, and the result of the defendant’s weighing of those factors, cannot be proven false. Third, the “Pro” badge appearing on the profile pictures of attorneys who pay Avvo is intended to convey a statement of fact: that an attorney has verified the attorney’s information as it appears on Avvo. Avvo’s website explains this meaning with an “i” icon next to the “Pro” badge. Hovering over the “I” discloses that “Attorneys that are labeled PRO have verified their information as it appears on Avvo,” and the website eventually explains the “Avvo Pro” subscription plan if you follow enough links elsewhere. Thus, the statement wasn’t false. Davis alleged that it was still misleading because it implied higher quality, and the disclosures weren’t sufficiently conspicuous to avoid that implication. The court agreed with Avvo what this was puffery. “Pro” means, literally, a professional; that was true [though why that’s relevant to misleadingness, especially when others in the profession were not granted the dignity of that characterization if they didn’t pay, is unclear]. To the extent that consumers perceived it as “conveying that an attorney is especially experienced or skilled, the term is mere puffery.” Davis couldn’t prove that lawyers marked “Pro” were undeserving, “because in context the term has no definite meaning or defining factors.” Allegations about advertising “highly qualified,” “the right,” or the “best” attorneys failed for the same reasons, as did allegations that paying lawyers got enhanced visibility on the website. Finally, Davis did not sufficiently allege injury by offering facts that demonstrate a causal connection between his injury some misrepresentation made by Avvo. 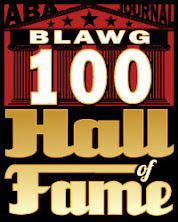 Conclusorily alleging lost fees and reputational damages, and diverted business, was insufficient absent facts indicating that consumers on the allegedly misleading Avvo ratings, pro badges, client reviews, or other statements “in choosing or gauging the reputation of an attorney.” “The only fact the plaintiff pleaded to support his theory of harm is that the defendant’s website holds a prominent presence on the internet, and thus consumers who perform a Google search with phrases like ‘top litigation attorney’ will see the website on the first page of results.” That wasn’t enough. H/T C.E. Petit. This comedy of errors might (might!) be ending. The court of appeals affirmed the district court’s judgment in favor of Hargis and its denial of Hargis’s motion for fees and costs. In B&B’s trademark infringement action against Hargis in May 2000, a jury found that B&B’s “Sealtight” mark was not entitled to protection because it lacked secondary meaning. We affirmed. In June 2006, B&B filed for incontestability status for its trademark with the Patent and Trademark Office (PTO). The PTO issued a Notice of Acknowledgment in September 2006, concluding that B&B’s affidavit of incontestability met the statutory requirements. The jury found that Hargis infringed on B&B’s trademark but did not do so willfully, awarded B&B none of Hargis’s profits, and found for Hargis on its counterclaims and its affirmative defense of fraud. Based on the jury’s fraud finding, the district court found that “Sealtight” was not entitled to incontestability status, and that B&B therefore had not pled an intervening change in circumstances allowing it to relitigate claims raised inthe 2000 jury trial. The district court therefore entered judgment for Hargis on all claims. B&B appealed, arguing that the jury verdict finding fraud and a lack of willfulness was clearly erroneous; and that the district court abused its discretion in refusing to disgorge Hargis of its profits. The court of appeals found no plain error. Incontestability requires an applicant to file an affidavit with the PTO declaring that “there has been no final decision adverse to [his] claim of ownership of such mark . . . or to [his] right to register the same or to keep the same on the register . . . .” “At least one circuit treats a district court’s finding of mere descriptiveness at summary judgment as such an adverse decision.” [And I don’t see how one could conclude otherwise, since descriptiveness means that the symbol is not a mark and thus can’t be owned as a mark. Failure to disclose is important since the PTO doesn’t examine §15 affidavits on the merits as long as it’s facially complete. And the affidavit is “especially important because a defendant accused of infringing an incontestable trademark may raise an affirmative defense that ‘the registration or the incontestable right to use the mark was obtained fraudulently.’” Fraud on the PTO “consists of willfully withholding material information that, if disclosed, would result in an unfavorable outcome.” Here, materiality means information that a reasonable examiner would have considered important. Warning: bad argument alert, not fully called out by the court of appeals. B&B argued that the 2000 verdict wasn’t a final adverse decision. The court of appeals responded that, in 2007, the TTAB explicitly stated that the 2000 jury verdict was an adverse decision that extinguished B&B’s common-law rights in the “Sealtight” name, so there was no plain error in the district court so finding. B&B then argued that its deception wasn’t willful because it didn’t realize the jury verdict was a final adverse decision and that it didn’t disclose that verdict based on the advice of counsel. The jury was entitled to disbelieve B&B’s owner’s testimony on this point. 15 U.S.C. § 1065 specifies that the affidavit has to include statements that “(1) there has been no final decision adverse to the owner’s claim of ownership of such mark for such goods or services, or to the owner’s right to register the same or to keep the same on the register; and (2) there is no proceeding involving said rights pending in the United States Patent and Trademark Office or in a court and not finally disposed of.” B&B’s predicate to its defense, that “finality” was what mattered, is thus fatally flawed. Of course, it is in theory possible that its counsel was so incompetent as not to understand this very clear provision of law, especially since courts of appeal apparently feel no need to mention it, but the true requirements for an incontestable registration might lend even more plausibility to the jury’s conclusion. Hargis also wanted its fees, and I sympathize (we haven’t even talked about the other facts B&B played fast & loose with, no pun intended), given that it’s been fighting this ridiculous case for decades. Despite the fraud finding, the court concluded that “[t]his case does not present an example of groundless, unreasonable, or vexatious litigation, as it has arguable merit on both sides—evidenced by the fact that both parties have prevailed at various times throughout its 12-year history. We cannot say that B&B pursued litigation in bad faith, as it received a favorable Supreme Court ruling and reasonably believed it could prevail.” This conclusion demonstrates the importance of selecting a starting point. I would have started instead with B&B’s decisions to go to the PTO seeking a workaround to the failure of the first case, to fail to disclose that material adverse result to the PTO, and to deliberately leverage that wrongly granted incontestability as the sole reason to relitigate the whole case. I would have thought that taking a matter to the Supreme Court on a premise that itself was based in fraud was “exceptional.” It’s probably also true that Hargis could have disposed of the matter earlier had its attorneys been unusually attentive to the actual requirements of incontestability and had the district court also understood incontestability, but as between the parties I would attribute the responsibility to B&B. I don’t know why this took so long to show up in my searches, but: this is a consumer protection class action arising from Sturm’s ill-fated decision to put instant (which it labeled “soluble”) coffee into pods that fit into Keurig coffeemakers, to get a jump on the competition for nicer ground coffee pods once the pod patent expired. This lawsuit was filed in 2011; the district court dismissed it on the theory that consumers should have known that “soluble” meant “instant,” and the court of appeals reinstated it, after which a class was certified on liability. Sturm didn’t take my unasked-for advice of that last post; instead, it seems determined to litigate to the bitter end, no pun intended. Plaintiffs brought claims under the consumer protection laws of Alabama, California, Illinois, New Jersey, New York, North Carolina, South Carolina, and Tennessee. This opinion details the court’s trial plan dealing with key elements of the claims. Sturm waited seven years to raise a FDCA preemption argument and did so in a few sentences; nope. The court also emits a bit of impatience with Sturm’s re-raising of previously rejected arguments. More generally, case law about class certification establishes whether certain issues can be resolved with class-wide evidence at trial. And the fact that the Seventh Circuit said that “[e]very consumer fraud case involves individual elements of reliance or causation” in its earlier opinion in this case does not mean that class-wide proof is impermissible to establish reliance or causation under any and all circumstances. The parties agreed that individual proof was needed to show causation under the statutes of Tennessee and South Carolina, but not on the other laws. California’s CLRA: “When the consumer shows the complained-of misrepresentation would have been material to any reasonable person, he or she has carried the burden of showing actual reliance and causation of injury for each member of the class. As some courts have put it, the plaintiff may establish causation as to each by showing materiality as to all.” Unless “the record will not permit” that inference, as when a named plaintiff testifies that she didn’t have the posited reaction to the claim or where it was “likely that many class members were never exposed to the allegedly misleading advertisement.” Thus, inferences of causation, reliance, and injury arise under the CLRA “where plaintiffs can establish that the defendants made a uniform and material misrepresentation or omission to the entire class.” The UCL “is much more straightforward” and doesn’t require individualized proof of deception, reliance and injury. New Jersey has applied a presumption of causation where a misrepresentation was material, in writing, and uniformly made to each plaintiff, and also where “all the representations about the product [were] baseless.” The application of a presumption of causation also may depend on whether plaintiffs could have known the truth behind the alleged fraud (why that is relevant is not clear to me) and whether plaintiffs reacted to information about the product in a similar manner. North Carolina requires a showing of proximate causation, which itself requires a demonstration of actual and reasonable reliance. “While this inquiry may be difficult to conduct on a class-wide basis, the Supreme Court of North Carolina has held that circumstantial evidence may be sufficient for a factfinder to infer reliance.” For example, a material misrepresentation that went to the sole point of the product could justify a class-wide finding of causation, as could a sufficiently material misrepresentation uniformly made to the class. The court concluded that the target consumers, Keurig owners, faced a “more-or-less one-dimensional decision making process” when they purchased the accused product. They hoped to buy single-servings of premium, ground coffee they could brew in their Keurig machines. “There is no other logical explanation as to why consumers would purchase instant coffee, at a premium price, in a K-Cup, that they had to brew.” It doesn’t make sense to buy a product three or four times more expensive than typical instant coffee to use a specialized machine to heat water for instant coffee. “This is simply not a case where the plaintiffs had a number of reasons for purchasing” the product. Ultimately, though a jury would determine deceptiveness and proximate causation of injury, it could do so on a class-wide basis, without individual inquiries. The court thus indicated its intent to subclass based on the initial and modified packages, further divided by state law. The first planned jury trial would be bifurcated. The first part would assess whether defendants committed a deceptive act or omission that would be materially misleading to a reasonable consumer. If the jury so found, the court would then decide whether those acts were materially deceptive under North Carolina law (which treats whether acts are unfair or deceptive as a question of law) and California law (because UCL and FAL claims are equitable in nature). The jury would then answer the same question for the remaining state subclasses. If the jury said yes, it would proceed to answer questions about whether the conduct occurred in the course of trade or commerce [that one seems a gimme]; whether the conduct affected the public interest; whether the non-Tennessee/South Carolina/California classes suffered injuries/damages/ascertainable losses in reliance on, or as a proximate cause of, the deception; and whether defendants intended for that last group to rely on their deceptive acts or omissions. A second jury trial would then determine the remaining elements of ascertainable loss, proximate cause, and damages for the Tennessee and South Carolina subclasses. PURPOSE: The Project on the Foundations of Private Law is an interdisciplinary research program at Harvard Law School dedicated to scholarly research in private law. Applicants should be aspiring academics with a primary interest in intellectual property (especially, patent, copyright, trademark and trade secret) and its connection to one or more of property, contracts, torts, commercial law, unjust enrichment, restitution, equity, and remedies. The Project welcomes applicants with a serious interest in legal structures and institutions, and welcomes a variety of perspectives, including economics, history, philosophy, and comparative law. The Qualcomm Postdoctoral Fellowship in Private Law and Intellectual Property is a specifically designed to identify, cultivate, and promote promising IP scholars early in their careers. Fellows are selected from among recent graduates, young academics, and mid-career practitioners who are committed to spending one or two years at the Project pursuing publishable research that is likely to make a significant contribution to the IP and private law, broadly conceived. More information on the Center can be found at: http://www.law.harvard.edu/programs/about/privatelaw/index.html. PROGRAM: The Qualcomm Postdoctoral Fellowship in Private Law and Intellectual Property is a full-time, one- or two-year residential appointment, starting in the Fall of 2019. Like other postdoctoral fellows, IP Fellows devote their full time to scholarly activities in furtherance of their individual research agendas in intellectual property and private law. The Project does not impose teaching obligations on fellows, although fellows may teach a seminar on the subject of their research in the Spring of their second year. In addition to pursuing their research and writing, fellows are expected to attend and participate in research workshops on private law, and other events designated by the Project. Fellows are also expected to help plan and execute a small number of events during their fellowship, and to present their research in at least one of a variety of forums, including academic seminars, speaker panels, or conferences. Through organizing events with outside speakers, helping to run programs, and attending seminars, fellows interact with a broad range of leading scholars in intellectual property and private law. The Project also relies on fellows to provide opportunities for interested students to consult with them about their areas of research, and to directly mentor its Student Fellows. Finally, fellows will be expected to blog periodically (about twice per month) on our collaborative blog, New Private Law (blogs.harvard.edu/nplblog). STIPEND AND BENEFITS: Fellows have access to a wide range of resources offered by Harvard University. The Center provides each fellow with office space, library access, and a standard package of benefits for employee postdoctoral fellows at the Law School. The annual stipend will be $55,000 per year. ELIGIBILITY: By the start of the fellowship term, applicants must hold a J.D. or other graduate law degree. The Center particularly encourages applications from those who intend to pursue careers as tenure-track law professors in intellectual property and private law, but will consider any applicant who demonstrates an interest and ability to produce outstanding scholarship in the area. Applicants will be evaluated by the quality and probable significance of their research proposals, and by their record of academic and professional achievement. 2. PDFs of transcripts from all post-secondary schools attended. 3. A Research Proposal of no more than 2,000 words describing the applicant’s area of research and writing plans. Research proposals should demonstrate that the applicant has an interesting and original idea about a research topic that is sufficiently promising to develop further. 4. A writing sample that demonstrates the applicant’s writing and analytical abilities and ability to generate interesting, original ideas. This can be a draft rather than a publication. Applicants who already have publications may also submit PDF copies of up to two additional published writings. 5. Three letters of recommendation, emailed directly from the recommender. Letter writers should be asked to comment not only on the applicant’s writing and analytical ability, but on his or her ability to generate new ideas and his or her commitment to pursue an intellectual enterprise in intellectual property and private law. To the extent feasible, letter writers should provide not just qualitative assessments but also ordinal rankings. For example, rather than just saying a candidate is “great,” it would be useful to have a statement about whether the candidate is (the best, in the top three, among the top 10%, etc.) among some defined set of persons (students they have taught, people they have worked with, etc.). All application materials with the exception of letters of recommendation should be e-mailed by the applicant to conner@law.harvard.edu. Letters of Recommendation should be emailed directly from the recommender to the same address. For questions or additional information, contact: Bradford Conner, Coordinator, conner@law.harvard.edu. Plaintiff Emson sued defendants Masterpan and S&E for false advertising. The parties compete to sell pots and pans. Emson’s Gotham Steel pots and pans are made of aluminum and have a copper-colored, non-stick ceramic and titanium coating; it uses direct response TV commercials and as “As Seen On TV” logo on its packages and other ads. S&E and Masterpan sell “The Original Copper Pan” which allegedly deceives the public by falsely and deceptively conveying to consumers that its cookware is the first of its kind and that Emson’s (and other’s) products are not the originals but are instead mere imitations. In addition, defendants allegedly falsely advertised certain versions of the OCP as being made of, and not merely coated with, copper. “Although each pan has a copper-colored cooking surface, Emson alleges that it ran tests on samples of the 12-inch OCP,” and found that “the cores of each of the tested Original Copper Pans had undetectable levels of copper” and that the inner coating on the samples also lacked the presence of copper. Finally, defendants allegedly “use an ‘As Seen On TV logo in their advertising,” without having advertised on TV, or only minimally doing so. Defendant S&E, however, fared better. Emson alleged sufficient facts to plausibly conclude that Masterpan markets and sells the OCP, as noted above and by providing documentary evidence that Masterpan shares directors with Dreambiz, Ltd., which owns the trademark “The Original Copper Pan.” But there was nothing so specific as to S&E, only allegations that it shared an address with Masterpan. Plaintiffs bought Cheez-It crackers that were labeled “whole grain” or “made with whole grain.” They alleged violation of New York and California consumer protection laws because such labeling would cause a reasonable consumer to believe that the grain in whole grain Cheez-Its was predominantly whole grain, when, in fact, it was primarily enriched white flour. The district court held that the whole grain labels would not mislead a reasonable consumer, and the court of appeals (in some tension with its recentholding on Trader Joe’s truffle-flavored oil) reversed. The challenged packages used “WHOLE GRAIN” in large print in the center of the front panel of the box, and “MADE WITH 5G OF WHOLE GRAIN PER SERVING” in small print on the bottom or “MADE WITH WHOLE GRAIN” in large print in the center of the box, with “MADE WITH 8G OF WHOLE GRAIN PER SERVING” in small print on the bottom. Both packages also contained a “Nutrition Facts” panel on the side of the box, which stated in much smaller print that a serving size of the snack was 29 grams and that the first ingredient on the ingredients list (in order of predominance, as required by federal law) was “enriched white flour.” “Whole wheat flour” was either the second or third ingredient. False advertising or deceptive business practices under New York or California law requires that the deceptive conduct was “likely to mislead a reasonable consumer acting reasonably under the circumstances.” Context is crucial, including disclaimers and qualifying language. The district court reasoned that “a reasonable consumer would not be misled by a product’s packaging that states the exact amount of the ingredient in question.” But the packaging here allegedly implied that the product was “predominantly, if not entirely, whole grain,” and it wasn’t. This was plausibly misleading because they falsely imply that the grain content was entirely or at least predominantly whole grain. 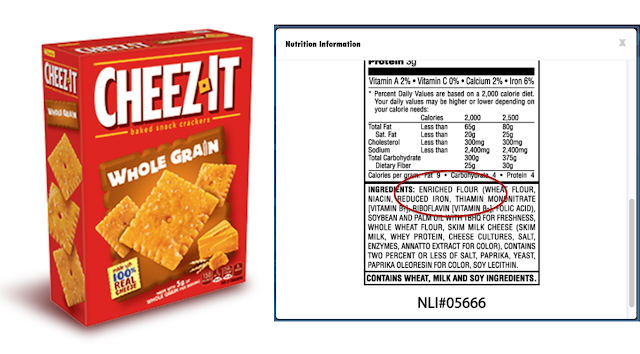 The ingredient list didn’t help, even though it indicated that a serving size of Cheez-Its was 29 grams and the list of ingredients names “enriched white flour” as the first (and thus predominant) ingredient. The serving size didn’t “adequately dispel the inference communicated by the front of the package that the grain in ‘whole grain’ crackers is predominantly whole grain because it does not tell what part of the 29-gram total weight is grain of any kind.” Plus, adopting the Ninth Circuit’s Williams rule, the court of appeals agreed that “reasonable consumers should [not] be expected to look beyond misleading representations on the front of the box to discover the truth from the ingredient list in small print on the side of the box.” The Nutrition Facts panel and ingredients list plausibly contradicted, rather than confirmed, the “whole grain” representations on the front of the box. Other cases dismissed on the pleadings involved plaintiffs who alleged deception because a product label misled consumers to believe, falsely, that the product contained a significant quantity of a particular ingredient. Here, however, the deceptiveness was the implication that, of the grain content in the product, most or all of it is whole grain, as opposed to less nutritious white flour. In addition, in most of the other cases, “plaintiffs alleged they were misled about the quantity of an ingredient that obviously was not the products’ primary ingredient.” No reasonable consumer would think that crackers “made with real vegetables” were made primarily with fresh vegetables. Here, “reasonable consumers are likely to understand that crackers are typically made predominantly of grain. They look to the bold assertions on the packaging to discern what type of grain.” Thus, the front of the package could have misled them. The court declined to adopt a rule that would allow any “made with X” advertising when the ingredient X was in fact present, no matter how deceptive (e.g., if the crackers here were 99.999% white flour). TN Warranty started as CompassOne Warranty in 2015, with a mark derived from an earlier company with a mark called Vector Compass. TN Warranty also argued that a non-party, Premium 2000+, was run by an ex-business partner turned rival of TN Warranty’s founder, who’s filed various lawsuits against that founder. Premium 2000+ allegedly offered to do business with TrueNorth, but cited TN Warranty’s name and mark as a “road block” to doing business, indicating TrueNorth’s lawsuit was premised more on Premium 2000+’s animosity towards the founder rather than on true confusion in the marketplace. TrueNorth disagreed, citing emails and phone calls from truck drivers and professionals within the trucking and insurance industries that allegedly demonstrated confusion. Preliminary injunction: though the Eighth Circuit has not yet ruled on the Lanham Act consequences of eBay and Winter, those cases lead to the conclusion that a presumption of irreparable harm upon showing likely success on the merits (via confusion) is not warranted. Harm to reputation can, however, be irreparable. TrueNorth argued that TN Warranty has received negative consumer reports from the Better Business Bureau and Trucker’s Report (an online forum used by truck drivers). Some of TrueNorth’s trucking industry partners contacted TrueNorth on behalf of drivers with warranty claims in an attempt to resolve warranty issues. It explained its delay in seeking a preliminary injunction stems with an increase in calls about warranties that it received in 2018. TrueNorth argued that it started recording calls in January 2018 due to the “increasing number of calls and other instances of confusion among TrueNorth customers.” It recorded six calls in February 2018, four calls in March 2018, one call in April 2018, three calls in May 2018, no calls in June 2018, two calls in late July 2018 and six calls in August 2018. Its witness described the harm as follows: “Just verbal communications that have been relayed to me that they think that the presence of having su[ch] a similar logo is creating challenges and confusion that is disruptive to our working together to market to owner operators and truck lessees.” The witness further described the situation as creating challenges with how TrueNorth tries to market to leasing companies, but could not provide any specific examples and was not aware of any specific loss of business with the company under discussion. Are there people who believe that Twiqbal improved consistency? Because I do not understand the level of detail required. Here, the magistrate holds that pleading that one’s testing complied with FDA regulations is not sufficient to plausibly plead that one’s testing complied with FDA regulations. I would have thought that, if it’s enough of a fact to be determined by a court and not trigger preemption, then it’s enough of a fact to be pled on its own, even if it is a potentially dispositive issue. But I don’t see non-advertising Twiqbal cases, so I might be overly critical. The plaintiffs sought to represent a class of Banana Boat “SPF 50” or “SPF 50+” product purchasers. They alleged that “rigorous scientific testing has revealed that the Products do not provide an SPF of 50, much less ‘50+’.” Consumer Reports magazine reported in May 2016 that “its own testing had revealed that Banana Boat Kids SPF 50 sunscreen lotion had an SPF of only 8.” Further, plaintiffs alleged that their own independent testing using FDA methods demonstrated the Products had SPFs lower than listed on the label. They brought various state law false avertising claims. The court rejected defendants’ primary jurisdiction argument. The FDA published a “sunscreen Final Rule” allegedly “mandating a whole host of highly specialized, highly scientific, and precise technical and scientific protocols that manufacturers must follow relating to testing and labeling.” Agency expertise is “the most common reason for applying the doctrine,” which is also used “to promote uniformity and consistency with the particular field of regulation.” Other cases have rejected applying the doctrine to sunscreen labeling, given that plaintiffs allegedly relied on long-established SPF testing procedures and standards, rendering their labels false and misleading, which is a routine factual question for courts. Defendants argued that the court would have to determine whether the parties’ tests followed the technical and scientific requirements of the sunscreen Final Rule. 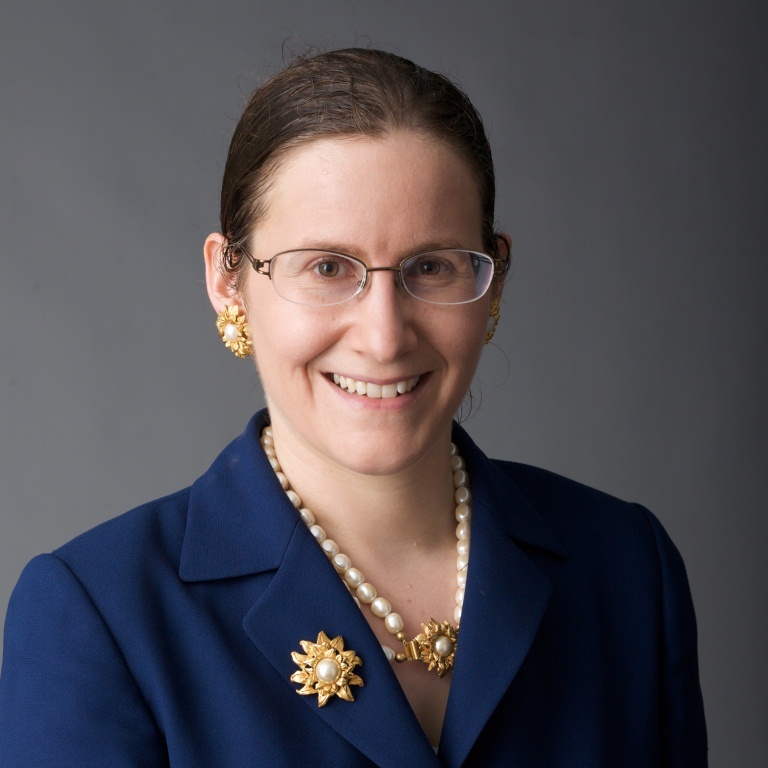 But “this Court is equipped to address such technical and scientific questions, as this and other courts routinely do on a regular basis.” Even if the FDA was in the “best” position to interpret the Final Rule, the court could do so too. In terms of uniformity and consistency, it was merely speculative that the FDA would be taking further action, much less formal action, or that any such action would be retroactive. Though the FDA had solicited bids for testing sunscreens over two years ago, there was no indication that further action was forthcoming. …. Plaintiffs conducted their own independent testing of the Products, utilizing the methodology for SPF testing mandated by the FDA. Specifically, the independent testing conducted by Plaintiffs was conducted in compliance with all FDA testing methods embodied in FDA Final Rule, 21 CFR Parts 201 and 310, (Federal Register/Vol 76, No 117/Friday, June 17, 2011/Rules and Regulations, including 21 CFR 201.327). The results of the independent testing conducted by Plaintiffs were consistent with the results suggested by Consumer Reports’ test results and confirmed that the Products had actual SPFs substantially lower than the claimed SPF 50 or “50+”. Plaintiffs’ investigation concluded that all three products, clearly labeled as containing SPF 50 or “50+”, contained an SPF of less than 37.8 and no more than a 30.1. This wasn’t sufficient (though plaintiffs said they were prepared to file an amended pleading). The complaint was 34 pages long and only 4 paragraphs were devoted to this crucial issue (this comparison strikes me as a bad measurement tool). Only one paragraph mentioned the specific methodology. There was a need for more than a “conclusory statement that the testing complied with the FDA Final Rule, an ultimate question this Court may be called upon to decide in the future.” And it was unclear whether plaintiffs had FDA-compliant test results relating to all three challenged products. Thus, the court found it prudent to allow an amended complaint. The court also commented that plaintiffs would likely have difficulty satisfying the predominance requirements on their nationwide claims, but declined to dismiss the class certification parts of the case at this time. Hi-Tech sued HBS, alleging that the label of its protein-powder supplement HexaPro misled customers about the quantity and quality of protein in each serving, in violation of the Georgia Uniform Deceptive Trade Practices Act and the Lanham Act. The district court dismissed the Georgia claims on FDCA preemption grounds and found that it wasn’t plausible that the label was misleading. The court of appeals affirmed the first conclusion, but reversed the second, and declined to find that the FDCA precluded Lanham Act claims here. The front of the label identifies the product as an “Ultra-Premium 6-Protein Blend” with “25 G[rams] Protein Per Serving,” and it touts the product’s “6 Ultra-High Quality Proteins” and “5 Amino Acid Blend with BCAAs [Branch-Chain Amino Acids].” The left side repeated “an Ultra-Premium, Ultra-Satisfying Blend of 6 High-Quality Proteins” and identified those six whole-protein sources, stating that the product “is also fortified with 5 Amino Acids to enhance recovery.” The right side features the nutrition-facts table, which states that HexaPro contains 25 grams of protein per serving, and the list of ingredients. This side also has a table labeled “Amino Acid Profile” whose heading indicates that HexaPro contains 44 grams of amino acids per serving, while the table itemizes only 25 grams. Hi-Tech alleged three kinds of deception. First, HexaPro contains free-form amino acids and other non-protein ingredients as well as whole proteins; an analysis that excludes these “spiking agents” and counts only “total bonded amino acids”—which alone are molecularly complete proteins—allegedly yields an “actual protein content” of “17.914 grams per serving,” not 25 grams per serving. However, the applicable FDA regulation permits “[p]rotein content [to] be calculated on the basis of the factor 6.25 times the nitrogen content of the food,” even if not all of a product’s nitrogen content derives from whole-protein sources. Given that, the complaint plausibly alleged that the label was misleading. “Considering the label as a whole and taking its statements in context, we find it plausible that a reasonable consumer would be misled to believe that a serving of HexaPro contains 25 grams of protein derived from the ‘6-Protein Blend’ comprising the ‘6 High-Quality Proteins’ listed on the label.” Even an additional prominent statement that the product contained an amino acid blend wasn’t enough to avoid this conclusion. The allegation was not that consumers would be misled to believe that the only ingredient is the “Ultra-Premium 6-Protein Blend.” Rather, Hi-Tech argued that the label would induce a reasonable consumer to believe that the protein in HexaPro derives exclusively from the six-protein blend, and this was at least plausible. The label doesn’t indicate that the claimed 25 grams came from any other source than the whole-protein ingredients; other than in the 25-gram claim, it never used the word “protein” to refer to anything other than the whole-protein ingredients, and instead consistently treated “amino acids” as separate from and providing distinct nutritional benefits from “protein.” The “Amino Acid Profile” on the right side of the label listed 25 grams of amino acids, but provided no explanation of how this figure related either to the product’s 25 grams of protein per serving or the 44 grams of amino acids per serving advertised at the top of the table. HBS’s specific arguments for preclusion also failed. HBS argued that application of the Lanham Act would create “a genuinely irreconcilable conflict” with the federal regulation governing protein calculations because it couldn’t simultaneosuly disclose both 25 grams of protein to satisfy the requirements of the FDA and 18 grams to satisfy Hi-Tech. But that wasn’t the only way to cure the misrepresentation. “[I]t would suffice to clarify on the HexaPro label how much protein in each serving derives from the six-protein blend and how much derives from free-form amino acids and other non-protein ingredients”; there was no federal law against that.